It’s hard to believe the month of March is over, and we’re into the first week of April. I’m presently at Nationals at Copper Mountain in Colorado and spent the past two days at our new Wy’East Mountain Academy booth engaging in awesome conversations with our snowboard parents, athletes, coaches, and future hopefuls. We’ll be staying through the weekend to meet our skiers and their family members who are also attending. The whole atmosphere for the event is uplifting and fun. I must give kudos to Tommie and his team for working extremely long hours and preparing our students for competition. As much fun as the experience is, it’s also grueling, to say the least. We will share the results for our students in the next newsletter after the ski portion of the event is completed. When we get back, students will be completing their studies, taking the SAT and PSAT exams, as well as round two MAP assessments.Graduation is set for 5:00 PM on Thursday, May 2, 2019 at Timberline Lodge, with dinner to follow for parents and relatives. It’s a beautiful venue, and we are fortunate to have our graduation there. I believe I said 6:00 PM in the last letter, but it is confirmed for 5:00 PM. Our SEVIS site visit on March 21st went smoothly, but as confirmation for final approval can take up to twelve months, we are crossing our fingers that it will come through before September. If you are an international student, please talk to Dan about the visa process. There is a B-visa that is used for short term training, but is longer than the 3-month tourist visa, which one of our foreign athletes is on. Our2019-2020 school year calendar and summer term calendars are now out! Arrival day for fall term is on Saturday, September 7th. We will continue with parent’s weekend. Christmas holiday will be longer, and we are going without a spring break- reason being that spring break this term overlapped with so much travel, only a few people were able to fully take part in the break. Summer term is looking good with dates set for May 13th to August 3rd. This gives a complete week between winter and summer term, and a month off between summer and fall terms for you to enjoy your children. Please don’t hesitate to contact me or Dan if your student wants to complete a shorter summer term. For Edgenuity students, their school work would need to be worked on at home, and MEWA classes would start in mid to late June. Please discuss the options with your family and the coaches. This truly presents an opportunity for students to continue staying fit and helps them get ahead in their coursework for the coming year. Thanks again for trusting us to care for your students. March was a perfect month to be off the road, giving us time to enjoy the glories of Mount Hood and life on campus. We started out the month with a pretty special opportunity to work with Arbor Snowboards. When my friend and Arbor athlete, Sam Blazejewski stopped through with Arbor’s staff photographer, Asher Koles on their way home from a week up in British Columbia filming a segment on two athletes in their homeland, they had in tow the 20+ next years products with them. They invited us to help them take photos that will be used for promotional purposes as a “Look-Book” on social media. Hayley and Evan were happy to assist, as we traveled to three different locations around Mount Hood finding unique landscapes to use. This gave them the chance to see the behind-the-scenes work that goes into marketing for a snowboard brand. March was also full of training in the terrain park to work on the freestyle skills and goals that were set for this season. I’m so proud of the kids and their progression in the park, and it shows when riding the bigger lines on the mountain. I’ve enjoyed watching them get more comfortable in the air and developing style in their tricks, which is exactly what we want. Spring time is in full effect and we are loving it! March was a great month for us on the freeski team. We had a nice trip to Mammoth for the final Rev Tour where everyone learned new things and put down some amazing runs. The skiing in Oregon was very productive, and with plenty of sunny spring days upon us, the training is ideal! As we are approaching the end of our competition season, those competing have been working hard on prepping runs for Nationals, and the team moral is at an all time high! 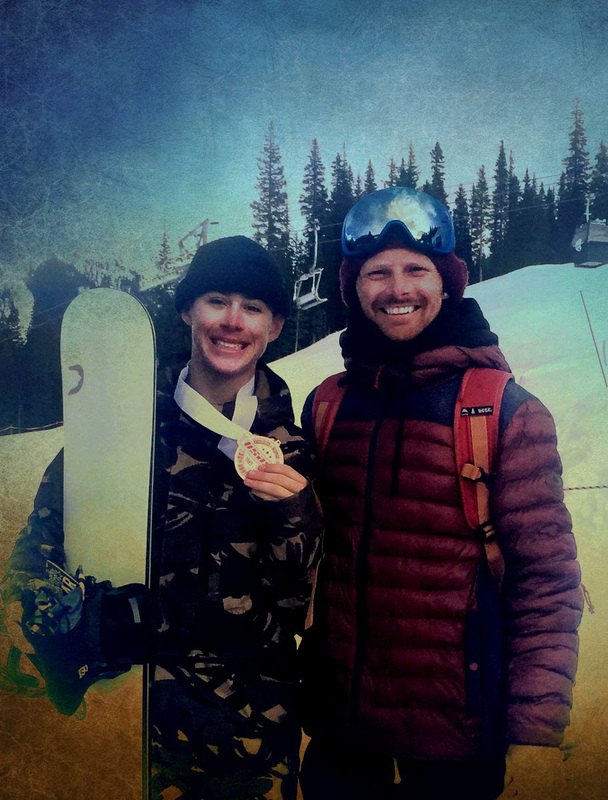 The snowboard team has been busy traveling, competing and having fun. Tahoe, Mammoth and Colorado really exposed the kids to what it’s like to have a life on the road. The kids are adapting to the constant changes while having great attitudes. USASA Nationals was a great opportunity to learn about higher level competitions. There were over 1200 participants over the 5 events. We had some highs and lows, but everyone had a smile on their faces. It’s surprising we are so close to the end of the year. With only have a few weeks of school left, we will be buckling down in the classroom and enjoying the spring conditions at Mount Hood. 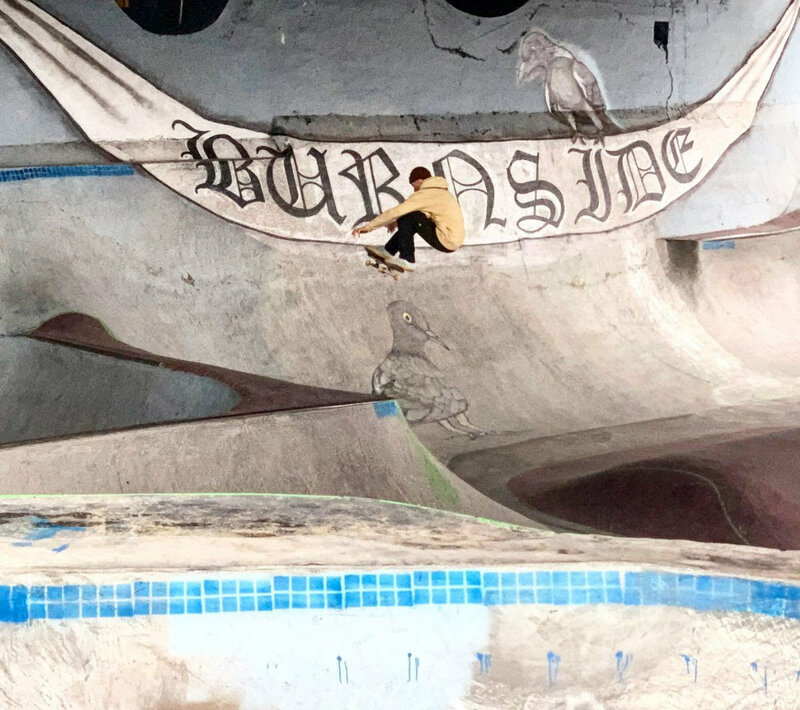 March was an action packed month for the skate team! We started off on a somber note, bidding farewell to Australian skater Jed Ragen, who finished up his visa and headed back down under for the year. Weʼll all miss you Jed and look forward to skating again soon! The rest of the team headed off on a quick 3-day trip to Seattle. We skated parks as we drove north and caught the ferry just in time for sunset! Seattle has some amazing street spots and skate parks. We spent the time hitting up some of our longtime favorites and also checked out some new parks we hadnʼt been to yet. Monkʼs vert ramp is no joke and just seeing it was insane! Props to Ava for tearing it up! We returned from the Seattle trip just in time for spring break. Everyone said a quick farewell and went home to spend some time with the family. Since everyone has gotten back, the weather has been amazing! Weʼve been taking advantage by having long, full day sessions in the jungle, as well as day trips to parks that were previously covered by snow, such as Bingen. A documentary team from Australia filming for “Queens of Concrete” joined us for the final week of March to document Ava Godfreyʼs last days at the academy. We had a good time playing host and helping to do our part to promote female participation in skateboarding. We are all going to miss Ava, who is also at the end of her visa. We wish her a safe journey home and canʼt wait until we all skate together again! The remaining skaters are eagerly anticipating next week, as we are going to Barcelona! Catch you on the other side with a full Baca report! Adios! As our winter turns quickly to spring, the classroom has seen students filtering in and out between frequent travels, spring skate sessions, and prep for national competitions. 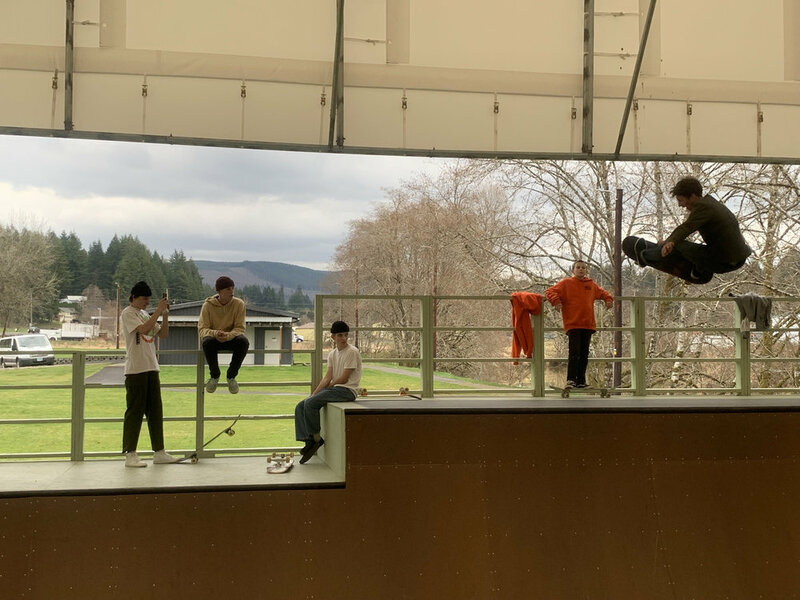 Our skaters and freeski A team have been putting in extra time as they prepare for travels abroad (skiers heading to Switzerland and the skate crew to Barcelona, Spain). With snowboarders and much of our skate and ski team crew on extended trips and Nationals, it has been a chore to keep up on travel schedules. But, even with Mullet March fueling the spring fever, students have been doing an excellent job staying on track and as focused as possible. PSAT and SAT exams are taking place on campus this coming month, with SATs scheduled for April 22nd and PSATs on April 23rd. Students who are taking the SAT have been encouraged to put in extra hours to prepare. Please reach out to Lori if you have any questions regarding these tests. Looking forward to spring bringing fresh energy to our campus and wild beauty to the Oregon wonderland that surrounds us.